Meet Liz from Nairobi! Liz is from Nairobi, Kenya. She is a PhD student in Agricultural Science at the University of Bonn. She is currently working on “Edible Insects in Kenya” for her research project at the International Centre of Insect Physiology and Ecology (ICIPE), Kenya. The student reporter call posted on the Tropentag website caught her attention as she was registering to present a poster. She went for it. Even if it meant more work, her acceptance was exciting. This would be a starting point for her path towards a potential career in science communication. Liz flew in from Nairobi expecting to meet people, learn new skills in photography, blogging and editing and, most importantly, have fun. She has interests in entomology, agrobiodiversity and nutritional diversity. 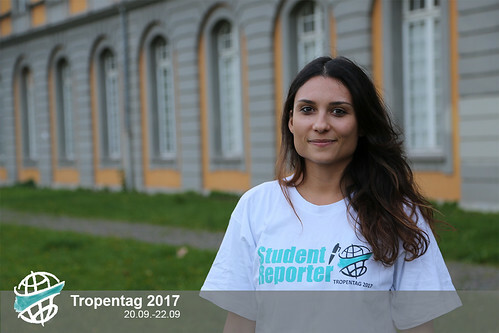 For Giulia, Tropentag will be a great place to learn, share, and get new research ideas in her field. The first time she heard about the student reporter position from her professor when he promoted it at the University of Florence, Italy and he encouraged her to join. At Tropentag she expects to produce useful content that interests young people, both expert and non-expert alike, on issues linked to agricultural sustainability. Her interest is agro-biodiversity conservation in future agriculture. If she has the time, she hopes to find interesting discussions about this topic. Diana, from Syria, is a PhD student of Organic Agricultural Science at the University of Kassel. 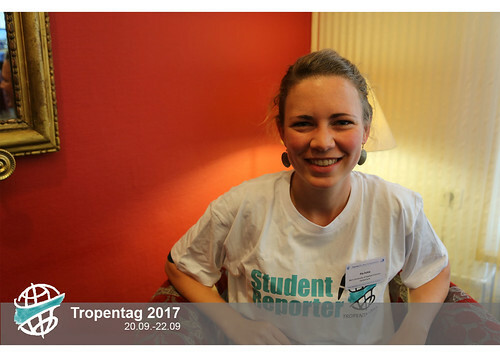 She was just checking her emails as usual when a friend sent her the announcement about Tropentag student reporters. She knew right away this was for her. One of her passions is to discover people through interviews, and this was just the opportunity to practice that. Diana cancelled an invitation for a vacation in Berlin to come to Bonn to learn more about reporting and the technical aspects around it, like video editing, sound mixing, and photography. Even though she will be busy covering the conference, she hope to learn more about her interests in biodiversity, soil and soil fertility. Rami hails from Syria and he loves connecting with people. Rami is pursuing a PhD in Organic Agricultural Sciences at the University of Kassel, Witzenhausen, Germany. 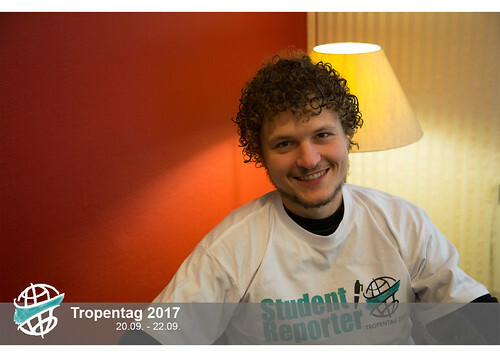 His passion for film led him to the position of student reporter at Tropentag 2017. This was his chance to shine. He would be able to capture on film current research affecting food security globally. So, he hopped on a train to get to Bonn and tell the Tropentag story. Otherwise, he hopes build networks at the conference and improve his overall skills as a science reporter. Markus - "I hope there will be a controversy"
Tell us more about you. I am Markus. Currently, I live in Berlin, and stressing about my Master Thesis which I will write next year. It will be in the field of agroforestry. My goal is to specialize in the promotion of indigenous rights and subsistence agriculture. How did you get here? I am a student at University of Kassel in Witzenhausen. There I got acquainted with the topics around development aid and sustainable nutrition. Kassel has a very dedicated team, which motivated me to do public relations for international agriculture. What are your tasks here at Tropentag 2017? I would like to critically discuss the content at Tropentag by writing articles that provide an authentic insight in what is being done for small-scale agriculture in Sub-Saharan Africa and Latin America. 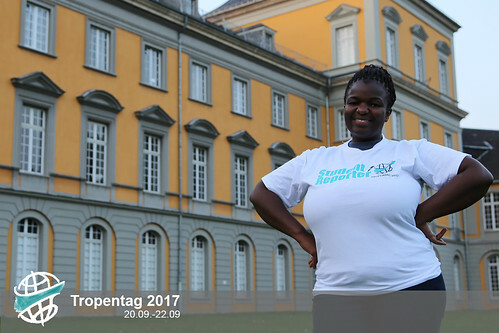 What do you expect from Tropentag 2017? My expectations are not high, actually. It won't be life changing. I find the real world is about economics and less about social and cultural values. Still, I hope that I can learn something either from the speakers or our team. Maybe, there will even be some controversy I will write about . 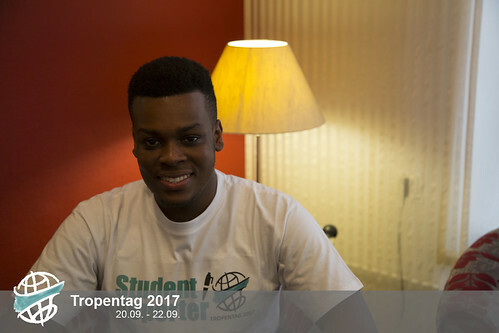 Kofi is Ghanaian, and studying Sustainable International Agriculture with a main focus on International Agribusiness and Rural Development Economics at the University of Göttingen. He first learnt about the Tropentag from his University’s newsletter. As a student reporter, he wants to use his skills in social media, and photography, while learning more about blogging, video and photo editing as well as interview techniques from a journalistic point of view. He was excited at the prospect to both learn and then practice his skills at this year’s Tropentag. On Sunday, he got onto the train expecting an insightful and challenging experience, and above all, to have fun. Hello Pia, please introduce yourself to us. I am Pia from Switzerland, I am about to finish my Masters in Applied Agricultural Sciences at the Bern University of Applied Sciences with a focus on value chains and rural development. My core topics are rural livelihoods and innovation in agriculture as well as participatory approaches. What are your tasks for the upcoming three days? I am part of the video team and therefore responsible for the production of video material, I will collect the voices and opinions of the participants. 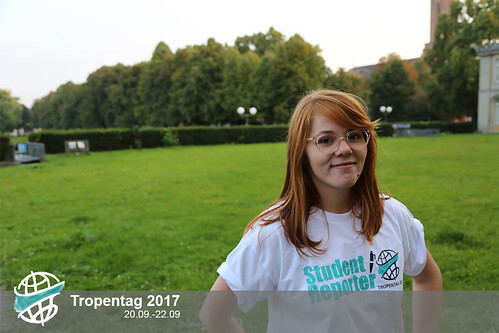 What are your expectations for Tropentag 2017? Lots of lively discussions about the future of agriculture, both in the sessions as well as online. Obviously thanks to our incredible online coverage. Also, an enhanced mutual understanding of people from different backgrounds. Productive, useful conclusions and outputs by the participants. How did you come here? 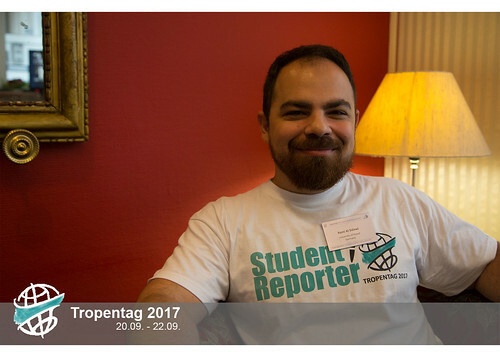 I attended last year’s Tropentag, where I presented a poster, and was so inspired that I wanted to come back to see the conference from a different perspective. I am especially interested because I am in (science) communications and media. Dreams, visions and the will to take action brought Megan from the United States to the University of Helsinki and even further to Bonn, thanks to an a invitation from her Agroecology department. She hopes to contribute this year to the output of the Student Reporter Team through articles, pictures and film. Before coming to Bonn, Meg, how she prefers to be called, spent the last year generating scientific texts. 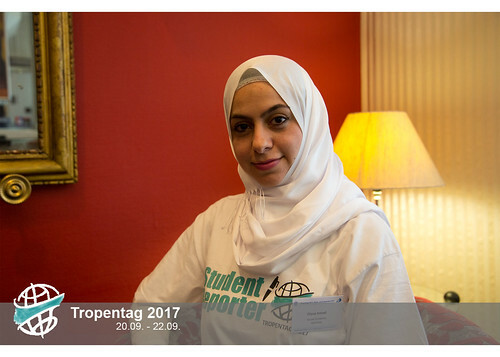 At Tropentag, she is looking forward to reaching the general public by posts and pictures digestible for everyone, not just super scientists. One advantage she sees in working in an international team like ours, is learning how to say cheers in new languages, meeting people in her discipline, and learning how to best communicate science. Meg's first impression of Germany were the cool and comfortable chairs at the airport in Munich. She had a five hour layover, and enjoyed good German coffee after years of dark tar, known as Finnish coffee. Strong and energetic, she is ready to further develop her journalistic skills. She hopes to enrich her understanding of sustainable food system transformation. And who knows? Maybe she will also have the chance to talk about her personal passions, collecting mushrooms and ice fishing.